Christmas is fast approaching us and sometimes we can get caught up with everything else that’s happening around us. There can be finals, family time coming up, gifts to buy, etc. Yet we can overlook that Christmas was the climax of the story that God has told since the beginning of time, when Christ entered the world to bring home his children. I recently read this in J.I. Packer’s “Knowing God” and thought I should share it with you. God has given us the ultimate gift, and the thanks we should give is much more beautiful and power than anything we could ever come up with. “We see now what it meant for the Son of God to empty Himself and become poor. It meant a laying aside of glory (the real kenosis); a voluntary restraint of power; an acceptance of hardship, isolation, ill-treatment, malice, and misunderstanding; finally, a death that involved such agony – spiritual, even more than physical – that His mind nearly broke under the prospect of it. (See Luke 12:50, and the Gethsemane story.) It meant love to the uttermost for unlovely men, who ‘through his poverty, might become rich’. The Christmas message is that there is hope for a ruined humanity – hope of pardon, hope of peace with God, hope of glory – because at the Father’s will Jesus Christ became poor, and was born in a stable so that thirty years later He might hang on a cross. It is the most wonderful message that the world has ever heard, or will hear. We talk glibly of the ‘Christmas spirit’, rarely meaning more by this than sentimental jollity on a family basis. But what we have said makes it clear that the phrase should in fact carry a tremendous weight of meaning. It ought to mean the reproducing in human lives of the temper of Him who for our sakes became poor at the first Christmas. 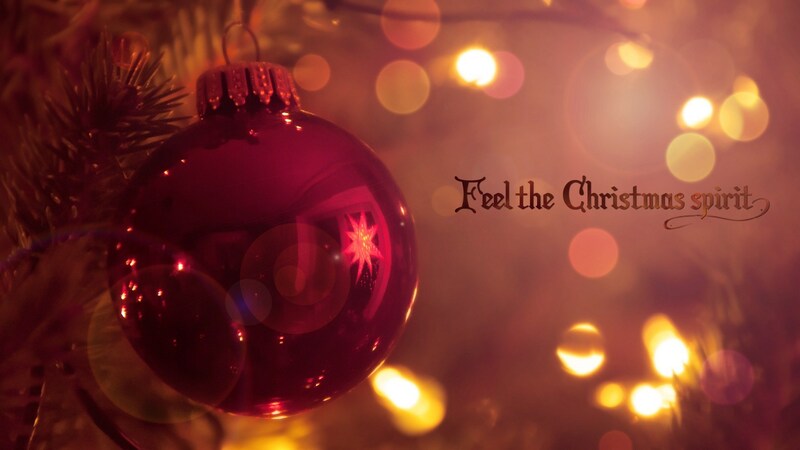 And the Christmas spirit itself ought to be the mark of every Christian all the year round. It is our shame and disgrace today that so many Christians – I will be more specific: so many of the soundest and most orthodox Christians – go through this world in the spirit of the priest and the Levite in our Lord’s parable, seeing human needs all around them, but (after a pious wish, and perhaps a prayer, that God might meet them) averting their eyes, and passing by on the other side. That is not the Christmas spirit. Nor is it the spirit of those Christians – alas, they are many – whose ambition in life seems limited to building a nice middle-class Christian home, and making nice middle-class Christian friends, and bringing up their children in nice middle-class Christian ways, and who leave the sub-middle-class sections of the community, Christian and non-Christian, to get on by themselves.